The NY Community Communion and Liberation has been invited by Dominican Father Jordan Kelly to attend a Mass of Thanksgiving for the Beatification of Pope John Paul II which will be celebrated at The Church of Saint Catherine of Siena (411 East 68th Street, NYC) on Sunday, May 1, at 12 Noon. Father Jordan will be the main celebrant and homilest. Monsignor Lorenzo Alabacete will be concelebrating and giving his personal recollections of Pope John Paul II and what the beatification means for us following the Mass. Please save the date for this moment of gratitude and unity. 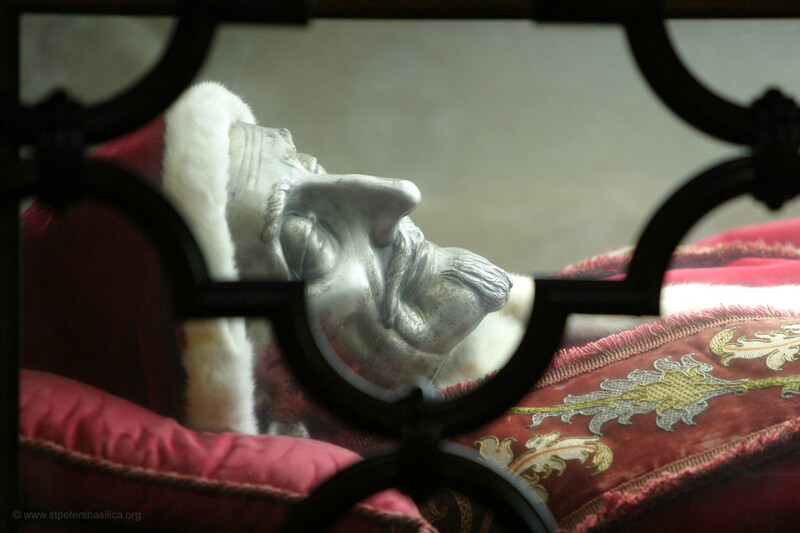 Workers at Saint Peter’s Basilica have begun their work to move the body of the soon to be beatified Pope John Paul II from the grottoes to the main basilica. He’ll be moved to the Chapel of Saint Sebastian where currently Blessed Pope Innocent XI (seen left) is resting (he was beatified by Pope Pius XII on 7 Oct 1956). I guess we’re tired of the silver faced Innocent of the 17th century in favor of John Paul II, Pontiff. John Paul will, in fact, be among a number of other holy people to take up residence in this spot. Apparently in this area, Pope Saint Boniface IV was there as well as the relics of the martyrs: Saints Victor, Candidus and Laureatus, but they have since moved on. The Chapel of Saint Sebastian, on the right side of the basilica as you walk in, and right before the Blessed Sacrament Chapel, is dedicated to the 3rd century martyr. Sebastian was murdered at the time of the Diocletian for confessing faith in Jesus Christ as Savior. Sebastian was first shot through with arrows, nursed to health and then later beaten to death. The chapel was completed by Pier Paolo Cristofari based on a design of Domenico Zampieri. 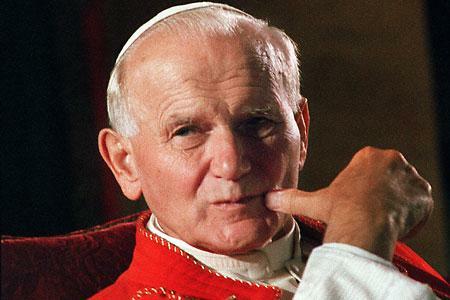 In the hours before and after the Holy See’s announcement that the famous Pope John Paul II would be beatified on May1st, lists of reasons John Paul matters have shown up. Dan Gilgoff of the Belief Blog at CNN has a list that in my mind is too thin to get excited about. Numbers 1 and 9 on his list, for example, bear neither weight nor content. There’s Rome Reports’ review of John Paul’s astonishing record and how he changed history. John Allen’s analysis is worthy of our consideration because of the context Allen frames for us. And there’s Carl Anderson’s remarks on the hope this beatification brings to us and yet Francis X. Rocca at the Religion News asks an interesting, provocative question about rushing the sainthood cause of John Paul. The constellations of perspective is certainly interesting. 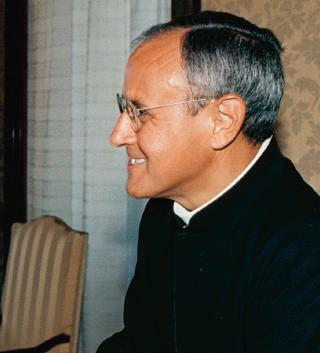 Read the interview with the Prefect of the Congregation of Saints, Cardinal Angelo Amato…. A slide show of the Pope’s last visit to NYC.